Today I got my hands on the new Canon EOS 60D for the first time, and am suitably impressed! When I read the initial press release back in August I had some reservations about some of the design features, but having put the camera through its paces I have to say that Canon seem to have built another DSLR worthy of the EOS brand. At first glance it seemed that Canon had weighted their ‘pro-sumer’ camera more towards the consumer than the professional. The EOS series has been one of the most popular ranges of cameras for many photographers, it was this range that Canon used to kick start their (D)SLR series and which has, over the period of only a few years, fuelled the explosion that we are currently seeing across the DSLR market with key brands now subdividing their range into entry-level, advanced amateur and professional models, Canon firmly targeting the advanced amateur sector with the EOS 60D. 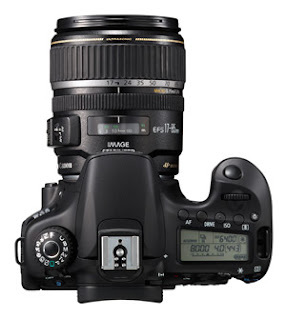 In recent years it has been the likes of the EOS 5D Mk II and EOS 7D that have received all of the attention. Further to this the EOS 50D seemed a little under specified, coming out just before HD video hit the DSLR market, combined with a comparatively low resolution LCD compared to other lower end cameras from Canon (i.e. the EOS 550D). With this in mind, it would seem that Canon is keen to position the EOS 60D at the sharp end of technology, whilst at the same time being careful to avoid excessive amounts of ‘unnecessary’ technology (such as gapless pixels as seen in the EOS 50D). The EOS 60D seems to not only be an amalgamation of EOS 550D and EOS 7D technologies but an evolutionary leap with regards to design and ergonomics. Like both the EOS 50D and EOS 7D it feels very comfortable in the hand, perhaps even more so. The buttons are well positioned, with all AF-On and Live View buttons positioned next to your thumb for easy access. I am also particularly impressed with the unlock button for the scroll wheel as well as an additional lock button and Mode dial on the top of the camera. My only complaint is the Quick Menu button which is very hard to reach and access when handling the camera with your right hand. Whilst the plastic construction is something that some might complain about, in reality the last three generations of the EOS X0D series have all been based on a plastic shell over an alloy body, thereby reducing the overall weight which can only be a good thing. When you handle the camera it doesn’t feel like you’re missing anything, in fact my initial reaction was ‘are you sure this is just plastic? !’ It feels that good! Perhaps the flash could do with being a little more ‘solid’ but, arguably, the EOS 60D is a camera to express your photographic ability, utilising one of Canon’s Speedlite options. Also new to this series is the flip out screen, a particularly helpful addition, especially for any macro or video work. Using the same LCD as the EOS 550D, the 102K LCD gives super clear, lifelike results with a view angle of almost 180 degrees. Again the plastic back, like the rest of the camera, doesn’t feel ‘plastic’, it feels solid as you would expect to find from a professional Canon product. As a result of the screen flipping out, the buttons have moved from theEOS 50D to around the control wheel. This I am quite thankful to Canon for as to me the bottom alignment of the buttons on the EOS 50D was something I could never get on with. Unfortunately as this is a pre-production model Canon has asked us not to post any images online but even with the EF-S 18-55mm IS that Canon supplied us with, the results are amazing. A few shots at ISO 6,400 and I’m left breathless. Certainly compared to ISO 100 you can see the noise creeping in and, more importantly, the anti-noise kicking in to suppress it. This, like all cameras reduces sharpness, detail and contrast but compared to even a full frame camera the results are certainly comparable. In an increasingly crowded marketplace the EOS 60D shines out as an affordable option that pushes the boundary of advanced amateur products...who knows where it will lead to next?! Any new camera today would not be complete without the inclusion of an HD video option, for better or worse it is here to stay, and although there are people out there that don’t want it I for one would rather have it and not use it because it gives me more options. However, there are many photo enthusiasts who have embraced HD Movie within DSLR models, you only need visit Vimeo or Youtube, type in Canon EOS 7D or EOS 5D Mk II and you will see hundreds if not thousands of results from filmmakers who are fans of these cameras and their ability to capture high quality, cinematic results. The EOS 60D is the first of the Canon X0D series to move to SD, ensuring the more compact nature of this product. With read-write rates and card capacity increasing all the time I feel that this definitely the right move for Canon to make on a product of this type. Canon has been a little selective with the flash settings, giving faster sync speeds of up to 1/250, which has been seriously lacking, but at the same time the EOS 60D goes a little more consumer with it loosing the PC Sync terminal for studio flash, but as almost all have built in or the ability to use radio triggers it is not much of a loss. 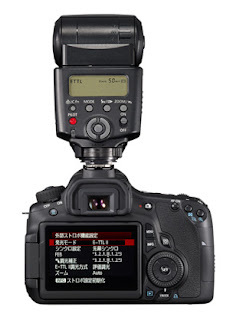 Like the Canon EOS 7D, the EOS 60D now includes wireless Speedlite control. Whilst this does not offer the same control as either the ST-E2 or a580EX II as a master, it is a handy addition and one I’m please to see included in the camera. 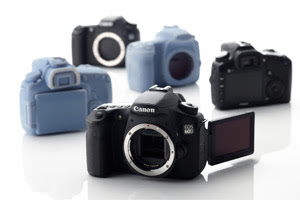 The Canon EOS 60D presents a major change in the Canon EOS mid-range line-up, one that I think will capture the imagination of the EOS community, and those with no real brand loyalty. In an increasingly crowded marketplace the EOS 60D shines out as an affordable option that pushes the boundary of advanced amateur products...who knows where it will lead to next?! life time and as so they’re are obviously going to be some ‘growing pains’ as the series evolves, mainly to accommodate the (relatively) new EOS 7D. For people that wanted a all out upgrade from the 50D then perhaps the7D will be a better choice, though if they want a camera that’s more advanced than your EOS 550D or EOS 1000D but feel the weight of theEOS 7D is too much then the EOS 60D is ideal. With 18 Megapixels, 5.3 frames per second and HD movie the EOS 60D is a superb camera, one that needs to be picked up to appreciate just how good it is, both in performance and ergonomics. I am certainly not disappointed with the new camera and I’m sure you won’t be either.